Robert Slater was born in Long Preston and spent all his life in the village. He maintained an active interest in every aspect of village life and, over the years, collected vast amounts of information relating to a wide variety of topics. After his death in 2015 his family wanted his work to remain in Long Preston and to be available to all. The Long Preston Heritage Group is pleased to have the chance to make The Robert Slater Collection available on line through the Capturing the Past project. In due course other, unrelated, and recently acquired archive items will be added to this site. The attention of users is drawn to the fact that the LPHG has a “dormant website” containing large amounts of information acquired before 2015. This can be accessed by using the link below. Covers Jubilees, Coronations, May Day and other significant events. Includes ‘Best Kept Village’ over a number of years. The records relate to St Mary’s and the former Baptist and Methodist Chapels. 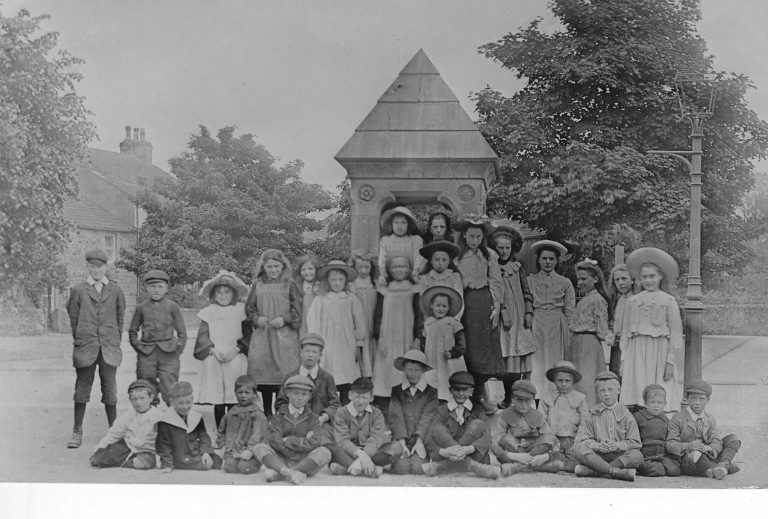 Collection of photographs and documents relating to Long Preston Endowed School. The school was endowed by the Hartley Trust (now the Hartley Educational Foundation) in 1898. Items relating to shops, village groups and clubs. Water, sanitation, gas, electricity and communications. Information about local families that has come to light during the general work of the Heritage Group has been recorded here. This is not an area that we are able to give comprehensive help and advice on. Includes advertisements, newspaper cuttings, postcards and local almanacs. Items relating to Long Preston Railway Station.